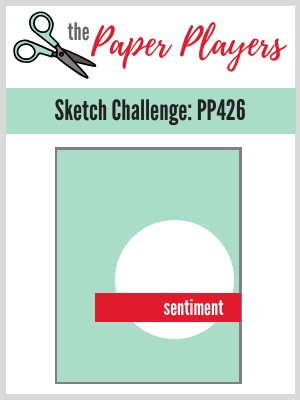 I received an email from The Paper Players today with the new sketch and the placement of the sentiment is what actually hooked me. I love this particular sentiment from Flowering Desert, but it's fairly long for the front of a card, so this sketch was perfect. I poofed (another not in OED) my sentiment out a little bit in order to show a little more of the prickly-pear. Not sure if you can tell, but the background is embossed with the Subtle TIEF.